The creation of a miniatures addict. I’ve had a lifelong interest in toy solders and miniatures, starting with plastic army men and later Airfix HO, Atlantic HO, Britains and Timpos – all of which I still love. When I first moved to California in the late summer of 1975 I was taken to Old Towne Mall in Torrance near Los Angeles. There was a wonderful hobby shop (Paul Freiler’s Historical Models) that had a fantastic 15mm War Between the States battle scene set up in the front window. It was absolutely electrifying to a 5 year old who loved miniature soldiers. I had never seen anything so intricate, colorful and detailed. My mom inquired as to the cost of individual pieces. I can still see this tall, thin, 70s looking fellow with a beard and afro telling her that they were expensive, delicate, made of lead, had to be painted and were really meant for adults. I wouldn’t be doing this if it weren’t for eBay. 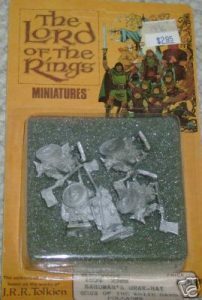 eBay rekindled my interest in minis, put me in contact with all the right people and led me indirectly to buy a spincaster, vulcanizer and my own lines of discontinued vintage minis. At first I just wanted to obtain pieces for my collection, with the happy intent of painting them on the back porch of my future home in AZ (I hoped to meet people for wargaming). 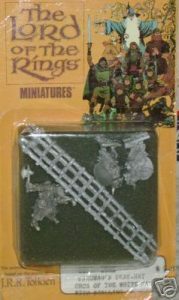 Then I discovered (through being regularly crushed in bidding) that there were other people who love these minis as much as I do, people who made more profitable educational and career choices (you will not make much money with an MA in history – trust me) than I did and who made two, three and four times as much as I did. I was repeatedly outbid and sniped to pieces. I could pay maybe $15 to $20 a pack while others could go to $50 and above. Constantly being heartbroken was a strong motivator to think “outside the box”. If I couldn’t “win” them, I decided to make them. Likewise I’ve always had a strong motivation to share with all of the other people who love miniatures (and my other offbeat interests) as much as I do. After years of hard work, endless (and continuing) research, negotiations, meeting wonderful people and a great deal of spent money, I am now making miniatures myself. It’s a wonderful and rewarding hobby, but like all of the people in the industry warned me, not profitable. Almost every person I’ve met in the industry told me they got involved in casting because they love miniatures and their work is a true labor of love.